RUSH: Well, this is interesting. This happened right before we went to break and I didn’t get a chance to catch it ’til we went to the break. The deputy FBI director, Andrew McCabe, has announced that he’s resigning. Now, this is interesting timing. We can only speculate as to why, and the only thing I would speculate is that we are perhaps going to see this four-page memo that Devin Nunes has prepared that every member of Congress has seen. The House committee that Nunes chairs is voting today on whether to release the memo and make it public. And a lot of people think that the vote will call for making the memo public. So McCabe now resigns. McCabe, his office is where Strzok and Page were discussing the insurance policy in case Trump happened to beat Hillary. The news about the politicization of the FBI and its leadership at least — I don’t know about the rank-and-file, but the leadership clearly interested in protecting Hillary and not prosecuting her, ’cause really that was about protecting Obama, now. I mean, it’s no question that they were doing everything they could to make sure Hillary was not charged, not indicted, and everything they could do to see that she was elected. And Comey was in on that as well. There’s no doubt about that. The texts indicate that. Some people are saying, “That’s a very rotten thing for you and people like you to be running around criticizing and ruining the reputation of the FBI. You ought to have more responsibility.” It’s not me doing it. I’m just reporting to you what we’re learning here in the Strzok-Page texts. I’m not the one besmirching the FBI. They did that. And it was all about protecting Obama. To protect Obama they had to protect Hillary because Obama lied about whether he knew she was using a classified server or a private server that was unsecured, sending classified information back and forth. And who knows what the hell else was going on there. So they had to protect her in order to protect Obama. So McCabe resigns on what may be the eve of the memo being released. I don’t know if the two are related. Time will tell. However, it’s interesting. Trey Gowdy was on Fox News Sunday yesterday with Chris Wallace and he had a unique and novel way of telling everybody what’s in this memo. Now, we know. Folks, you and I, we know. We’re educated, informed, and aware. We know that what’s in this memo, we know how devastating it is to the CIA — well, the FBI and the Department of Justice. We know how devastating it is to perhaps the judge at the FISA court who was either in on the scam or might have been lied to and misled in order to issue the warrant to spy on the Trump campaign. But we haven’t seen it yet. And there haven’t been any leaks. Can you believe that? Everything from the deep state has leaked countless times. This memo, 539, 540 people have seen it, if not more, and it has not leaked. Why do you think that is, Mr. Snerdley? Why has the memo not leaked? Because it does not hurt Trump. It is not unfavorable to Trump. That’s why this memo has not leaked. GOWDY: I do. If you think your viewers want to know whether or not the dossier was used in court proceedings, whether or not it was vetted before it was used, whether or not it’s ever been vetted. If you’re interested in who paid for the dossier, if you’re interested in Christopher Steele’s relationship with Hillary Clinton and the Democrat National Committee, then yes, you’ll want the memo to come out. RUSH: Well, I think we were just told what’s in the memo there. And I’m not being critical of Congressman Gowdy. We like Congressman Gowdy here. We have interviewed him for The Limbaugh Letter. He was very forthcoming. He’s patriot. But he says, “If your viewers want to know whether or not the dossier was used in court proceedings.” What he’s saying is they went and got a FISA warrant based on that dossier. And that dossier’s fake, it’s made up, it’s an opposition research document written and paid for by the Hillary Clinton campaign. RUSH: So the Drive-Bys are going nuts now trying to figure out, “What does it mean? What does it mean? McCabe is stepping down! McCabe’s resigning! What does it mean? What does it mean? What’s it mean?” We don’t know yet. We could pretty much guess. They’re putting all the speculation on the table. Some people are saying, “Hey, he was actually removed, and this is face-saving.” There’s also speculation that the timing here is such that he will be fully vested for his pension in March. He gets that in its entirety if something else plays out here. The White House press briefing is coming up where, of course, there will be full questions on this. You know, the memo, the Devin Nunes memo… It’s actually the Devin Nunes and Trey Gowdy memo, and apparently… This also is not official. Apparently, there are some rather unflattering elements of the memo about the deputy attorney general, Rod Rosenstein, who is one of these guys that had an impeccable establishment reputation. He’s supposedly loved and adored, respected by all sides. Republicans, Democrats, communists, Birchers, you name it, they all loved this guy when he was put into the position, and when Trump named him it was considered a very, very good move because Rosenstein is above it all! He’s served this place. He’s done everything, been everywhere, and is totally trustworthy. Well, he’s the guy that appointed Mueller. He’s the guy that appointed Mueller (chuckles) with no boundaries. You know, the special counsel has to be given a crime to pursue. That’s part of the regulations that establish the special counsel, and Mueller was not given a crime. Rosenstein said, “You can go anywhere you want.” He didn’t say it in those words, but that’s what the charge was: Go wherever you want. It was officially sanctioned as a fishing expedition, and it will continue this year. And the whole purpose of what Mueller is doing is to find something that will ultimately prove to be an impeachable or a series of impeachable offenses. No doubt in my mind. The left isn’t gonna give it up. SANDERS: We’ve seen the numerous reports as all of you have, and any specifics… I can tell you none of this decision was made by the White House and any specifics I would refer you to the FBI, who I believe will be making a statement later today. ROBERTS: You say that the White House was not involved in the decision. But clearly, the president seemed to be involved in a public relations campaign against McCabe. SANDERS: Look, the president stands by his previous comments, but in terms of the situation today, as I just said, we’ve seen the reports just as all of you have. SANDERS: We don’t have any specific comments, and I would refer you to the FBI for any specifics on the things that are taking place today. Have you all seen Howard Kurtz’s new book or heard about Howard Kurtz’s new book? (interruption) Who’s having a cow about it? Well, they damn well ought to have one! “Some of his mainstream colleagues” damn well ought to be having a cow about it. The name of the book is called Media Madness, and there is a story on this. I remember it. We talked to Reince Priebus about it on this program! It turns out that this event — which I’m gonna remind you in a moment — is what led to, what initiated the leak of that Russia-Trump collusion narrative. It’s how McCabe spread this to the mainstream media at large. This goes back to February 2017, and in this… Here, let me give you Priebus’ version of the story ’cause Kurtz writes about it, and he’s got it right. There was a meeting at the White House. The FBI people were there and a number of other people were there on, I think, a related matter. Andrew McCabe, who was the deputy director of the FBI, asked for a meeting with Priebus (who was the chief of staff at the time), and he told Priebus that everything in the current New York Times story that was written by three people — Michael Schmidt, Mark Mazzetti, and Matt Apuzzo — was total BS. Now, this story was one of those endless, seemingly daily bombshells that were happening during the transition and the early days of the Trump administration. This New York Times story’s headline was “Trump Campaign Aides Had Repeated Contacts with Russian Intelligence.” It was sourced by four current and former American officials. It was like every other story of its genre. There was never any named source. There was no verification of the claims. It was just reporting what four unnamed people told the New York Times. Of course, McCabe refused to do this. But McCabe was insistent that Priebus know that the FBI knew the story wasn’t true. Priebus says, “Look at the TVs, Andrew. Everyone’s going nonstop with this. It’s gone beyond the New York Times,” and Priebus asked the FBI deputy director if he could publicly say what he just told him, and McCabe said, “I gotta check; I’ll get back to you.” Priebus told us the same thing on this program. It was — ’cause he was minding his own business. He wasn’t doing anything. He didn’t seek McCabe out. McCabe sought him out. So McCabe called back, according to the Kurtz book, and said he couldn’t do anything about it. That led to Comey calling, because McCabe had gone back and told Comey what Priebus wanted. Comey called and said he couldn’t do anything either. Even though they knew the story was totally wrong, they couldn’t do anything about it for the sake of the investigation. They don’t respond, day to day, to media assertions. 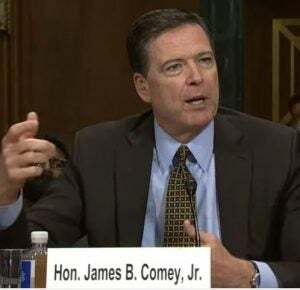 But Comey did offer to brief the Senate Intelligence Committee on the matter later that week, and that suggested to Priebus that they would spill the beans publicly in testimony before the Senate Intelligence Committee. So, according to Kurtz’s book, you know what happened next? I remember this like it was yesterday. McCabe calls Priebus — he’s at the White House anyway, he sees Priebus, says, “Look, we know it’s not true.” Priebus says, “Can you do something, can you help us out here?” “No, sorry, we can’t.” Then what does leak is that Priebus wants the FBI to shoot down the story! So Priebus was set up! McCabe goes in there and tells him, “We know it’s BS.” Priebus says, “Well, okay, fine. How does that help us? 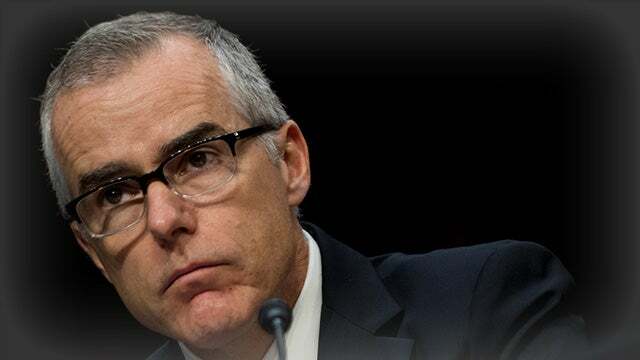 You gotta say this publicly.” McCabe says no. Now, CNN, a week later, is running a story saying that Priebus had asked the FBI to publicly shoot down the story. The FBI rejected Priebus’ request. Priebus was gobsmacked by this. He minded his own business. He didn’t pressure anybody. They brought the story to him. So Kurtz writes: “Had he been set up? Why was the FBI leaking this information when one of its top officials had initiated the conversation?” CNN’s story that got all this going was authored by Jim Sciutto, Perez, Shimon Prokupecz and Manu Raju. Raju is the reporter who messed up a massive Russia collusion story by not verifying underlying details in any serious way. Jim Sciutto is a former Obama administration appointee who is close to Obama officials. 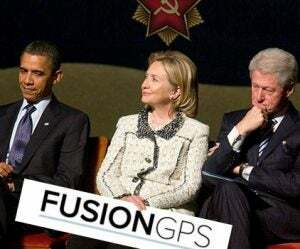 Evan Perez has extensive ties to Fusion GPS. A week later a story appears that Priebus had requested the FBI to shoot down the story. Well, that’s what happened, but that’s the second half of it. It’s being reported as what initiated it and it didn’t. Somebody had to tell CNN. Somebody had to lie, somebody had to leak a bunch of BS to CNN to get that story, which they were more than happy to report. So that was the double whammy. The New York Times story was the first whammy. The double whammy was CNN picking it up making it look like Priebus was desperate to get a story killed because it was true when it wasn’t. And we talked to Priebus, he was on this program. Maybe it wasn’t on the air. I talked to him, I don’t know if it was on the air or not. But I remember this verbatim as though it were yesterday. The point of this, the point Kurtz is making here, is that this meeting between McCabe and Priebus led to the leak that the Trump administration was trying to squash the story because it was true. And this led to months and months of additional stories. And it culminates with Comey getting canned. They’re asking if Trump can be impeached about lying about whether or not he wanted to fire Mueller. Now, that’s desperation. Lying is not an impeachable offense! I mean, this wasn’t under oath. It’s just absurd.